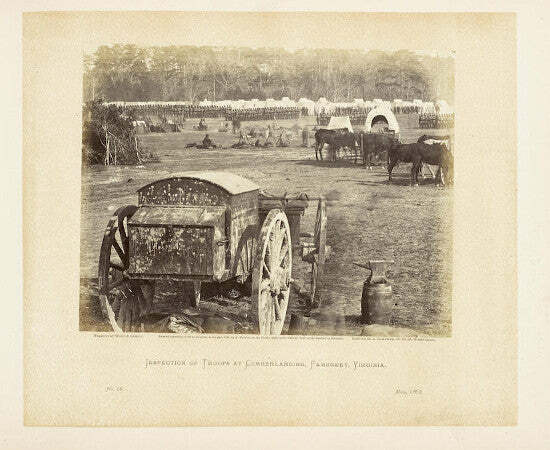 A copy of Alexander Gardner's Photographic Sketchbook of the War has sold for $137,000 at Bonhams New York. The lot, one of the earliest works of photojournalism, led an auction of rare books and manuscripts on September 22. Gardner travelled with the Union army during the US civil war. He made use of a mobile darkroom, allowing him to process his photographs even as the battles were raging. The collection consists of 100 albumen photographs that offer an incredible window into the conflict. It features scenes showing fields of bodies and ruined towns, as well as conic images of President Abraham Lincoln. Franz Kafka's passport sold for $37,500, beating an estimate of $15,000 by 150%. Bonhams described the lot prior to the sale as "a tremendously personal and evocative item of bureaucratic residue, the passport bears Kafka's written name five times (including his signature), specifies various locations in Germany and Austria, and gives Kafka's physical description and profession as an insurance officer." Click here to check out our selection of books and manuscripts for sale.